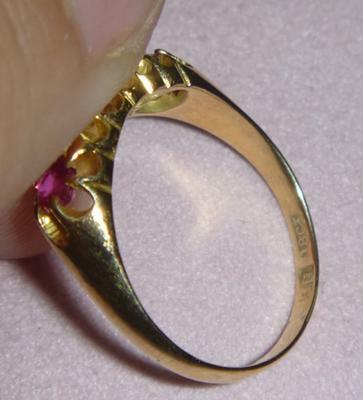 Jewelry Marks and Pink Stones? 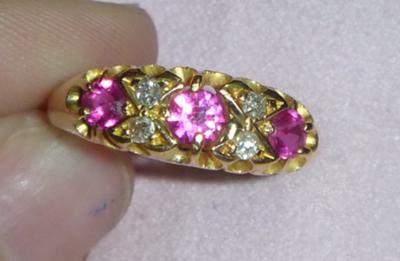 Gold Dress Ring Diamonds & Ruby ? 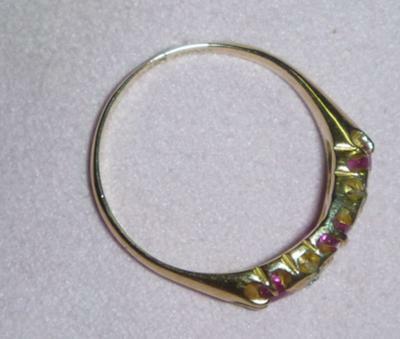 This ring was my great, great grandmothers so 1940-50ish? ?